If you’re saving for a child’s post-secondary education, you know that every dollar counts. But do you know how much you’ll really need when its time to start paying the bills? If you're like most parents (or generous grandparents), you probably do not. 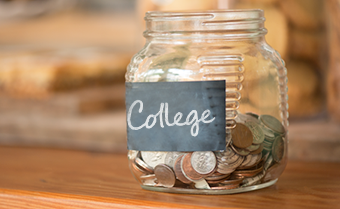 If you look up tuition and fees for a specific college, you can find a dollar figure anywhere from about $10,000 a year at an in-state public college to $35,000 per year and up at a private college. ** But that doesn’t include room and board, books, supplies, or transportation. The total cost of college includes all of these things plus the tuition. By using a net price calculator, you can estimate a school’s net cost for your child. To calculate your net price, you’ll input details about your income, your child’s grades, and your child’s GPA.